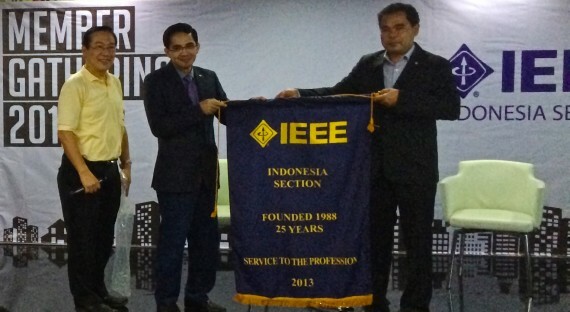 It has been 2 years that I had handled the chairmanship of IEEE Indonesia Section, i.e. 2013-2014. At the end of the year 2014, I seek the support of the Advisory Board to prepare the Election to choose the new chairman. The Advisory Board formed an ad hoc Election Committee, led by Mr Arnold Djiwatampu. 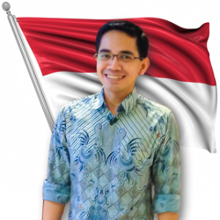 They also nominated Mr Satriyo Dharmanto as the candidate of the new chair. 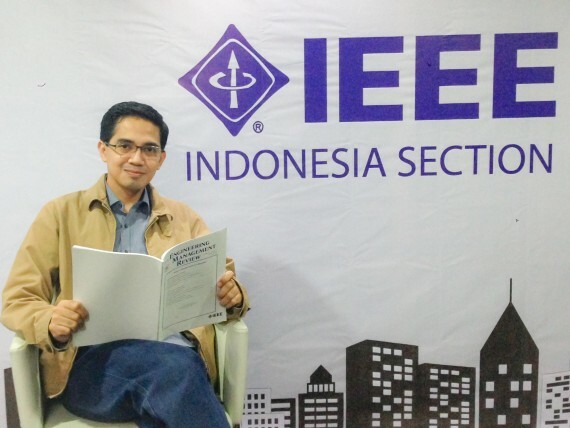 Satriyo was the chair of IEEE Indonesia Communications Society Chapter (2012-2014). The committee also invited other candidates through petitions. One candidate was nominated this way, i.e. Prof Pekik Argo Dahono, the chair of the Join Chapter of Education Society / Electron Devices Society / Power Electronics Society / Signal Processing Society. The election was conducted online on January 2015 with a web tool provided by the IEEE. The result was announced by the committee, one day after the election due. Satriyo won. Then it was my turn to prepare the chairmanship handover process. 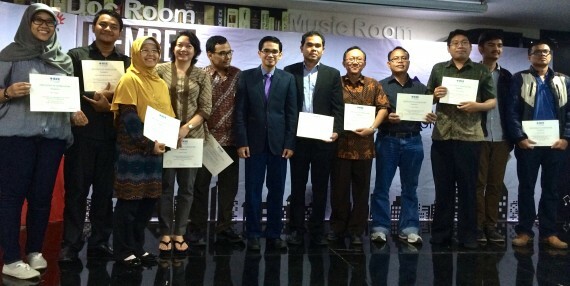 I chose Jakarta Digital Valley (the HQ of Indigo Accelerator) as the venue for this handover. It was a symbol that this engineering professional organisation should put more attention to entrepreneurship based on technology innovation; without losing focus on academic research and industrial development. The handover ceremony was carried out as an IEEE Indonesia Section Member Gathering, conducted on 15 February, just a day before the Section’s anniversary. The IEEE Indonesia Section was established on 16 February 1988, through an approval letter published by the IEEE MGA. To symbolise the handover process, Dr Wahidin Wahab (member of the Election Committee) put the Section Chair pin on Satrio’s jacket, and put the Section Past Chair pin on mine. So we have a new chairman! Then I handed over the Section banner (symbolising the life of the Section) to the new chairman. Meanwhile, Dr Ford Lumban Gaol will retain his position as the Section Vice Chair. Dr I Wayan Mustika will be the new Secretary, and Ms Agnes Irwanti be the Treasurer. What’s the duty of a Section Past Chair? We have never defined it. Obviously, the previous chair will support the new one with advices, guidance, and networking with the Region, neighbouring Sections, and the HQ. Some years ago, the Section established an Advisory Boards, populated by some former Section Chairs. I haven’t known yet whether I will be appointed as a member of this board. You know: as a chairman, I was not too warm hearted. Asia Pacific Conference on Communications (APCC 2015). IEICE Comsoc, KICS, CIC. Kyoto 2015. Technical Program Committee, Member. International Conference on Computer, Control, Informatics and Applications 2015 (IC3INA 2015). LIPI. Bandung 2015. Scientific Committee, Member. International Conference on Information & Communication Technology and Systems (ICTS 2015). ITS. Surabaya 2015. Scientific Committee, Member. Asia-Pacific Conference on Computer Aided System Engineering (APCASE 2015). Quito, Ecuador 2015. Steering Committee.